The capital could not be Denver unless the geography changed a great deal. Denver sits on the High Plains, and is not ringed by mountains as the book describes. I am a Denver native. how did it all get this way? what’s happening with all of the rest of the world? 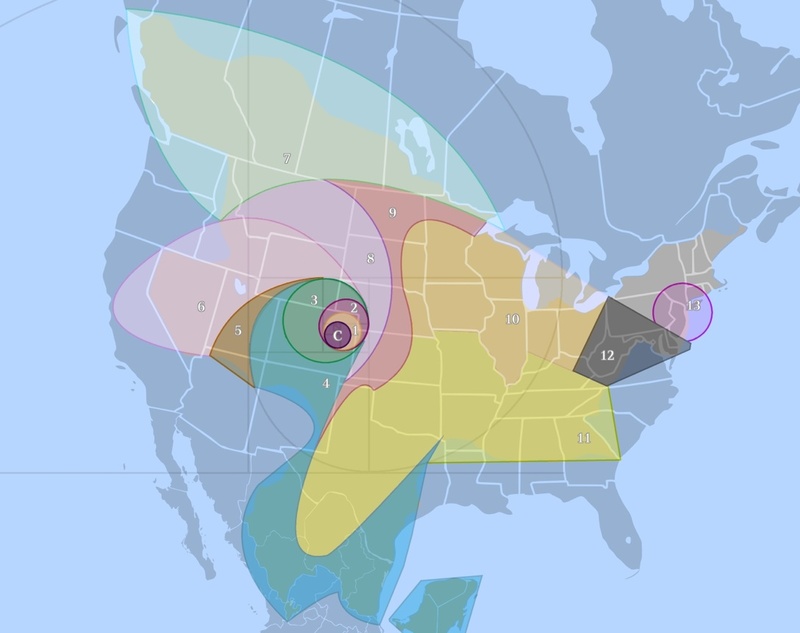 are there other nations out there? i tried to come up with reasons for why these other nations haven’t interfered or attacked my best guess is they’ve been waiting for a revolution for an easy conquest. i’m guessing theres going to be a prequel. Many possible theories it may be that after all the catastrophes other nations left have no form of communication with each other. Other pockets of land woild be very distant (South America, Central and Sub Sahara Africa, and Central Asia). Most likely these countries will try to focus on internal affairs. Or perhaps Panem is like North Korea where it’s inhabitants are unaware of the outside world (if not all the other natioms have their citizens umaware of other lands). What would be interesting is to have the canon expanded. Have a sequel where forces from the outside collide (or at least interact) with Panem. Or have a successor to Snow escape during the capitualation of the Capitol and has created allies and amassed an invasion from outside of Panem. I don’t know. Just my thoughts. I remember in the books it mentioned that D12 was somewhere by the Rockies. In the wiki, which may possibly be based on the film, it mentions District 1 having a machine that creates diamonds from graphite. This could mean that 1 doesn’t necessarily have a diamond mine, unless it mentions in the books that it does, I can’t remember. I don’t remember which book, but Katniss describes D12 being both the poorest and smallest district. Both of theses maps have D1 being the smallest not D12. She could mean smallest in population… Would you call NYC a “small” city? I’m not understanding why these districts are touching. I see that you’re trying to ‘fill up’ the map, but in all likelihood there are vast amounts of wilderness between each district. Otherwise there would be NO way for Bonnie and Twill to get to the woods outside 12 without crossing the monitored land in another district. And where are you getting the info that 12 can be seen from 13? It’s a 45 minute trip by hovercraft, so it’s not exactly next door. Also, space for Hunger Games arena sites are completely missing. The Games don’t take place in a district or the capitol, and they become historic sites once the Games are over. My husband just compared me to Joanna. Come on, right? I mean RIGHT? AND this was after I said that he’s like Gale (though he’s really like Peta). Isn’t it implied that since District 10 and District 4 have similar wedding customs that they should be very close to each other? It only makes sense to me because that is how the Districts would get information before the dark days, close borders mean some overlapping of customs. 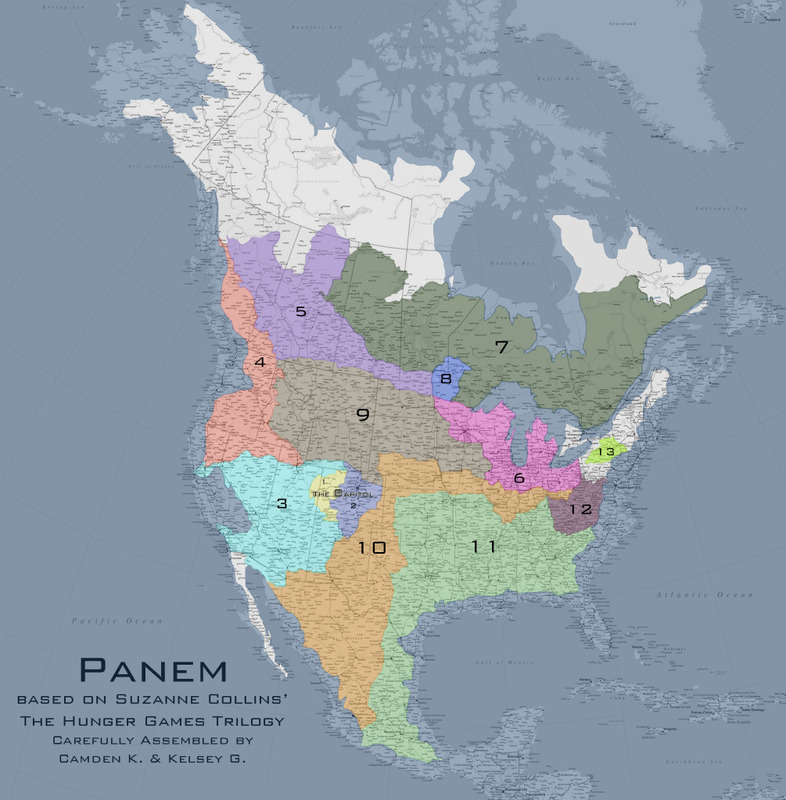 In the books, it clearly states that the districts don’t border each other, rather have a spacious gap between them. I’m an Australian and I know that these maps aren’t right.